‘Round about the same time as many versions of Monk’s classic composition ‘Round About Midnight were being recorded, in 1957, the wildly eccentric singer Screamin’ Jay Hawkins recorded I Put a Spell on You. A while back I recall coming across a fascinating compilation CD with sixteen different versions of Hawkin’s classic song, ranging from Nina Simone to Georgie Fame, Brian Ferry, my own favourite guitarist, Lesley West, another by Jeff Beck with Joss Stone, and I’m sure there was one by Julie Andrews feat. Mother Theresa (I Put A Blessing On You). Following the Miles in Amsterdam post the other day, it occurred to me it might be fun to follow-up nominations from some of the LJC posters for other interpretations of Round about Midnight, and experiment with an LJC first online poll. So here goes. LJC goes fully interactive! Democracy swings! The Dictator has been deposed: down with LJC! it’s a Jazz Spring, time for people to go to the polls, to elect their favourite version of the National Anthem of Modern Jazz, ‘Round About Midnight. You decide. And remember, if no-one votes, the LJC holds the casting vote, the Dictator returns. And you won’t necessarily like it. 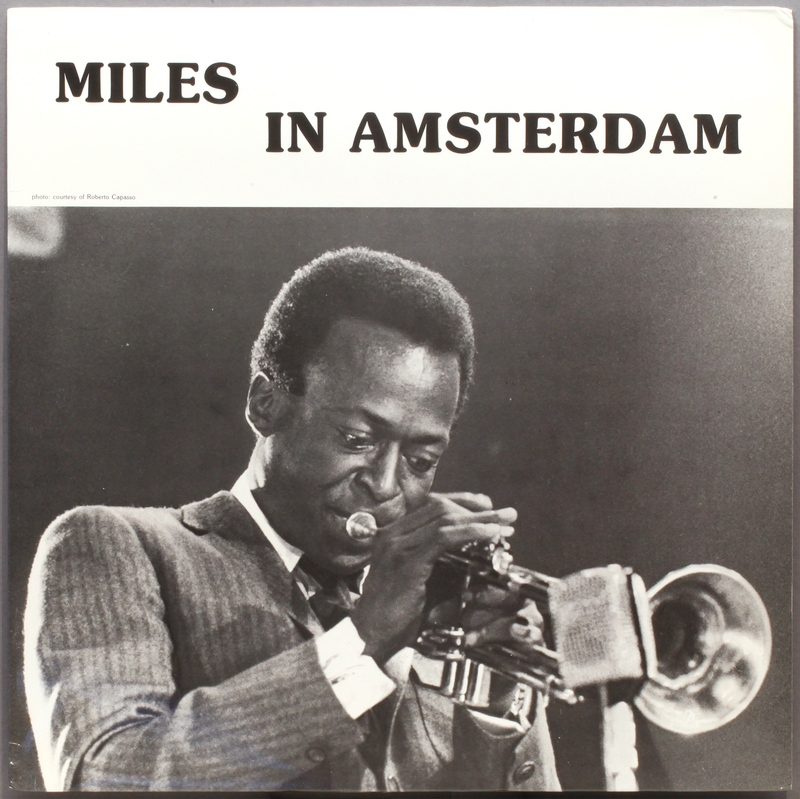 A: Collect Air Miles: Miles Davis touring Yrup with Barney Wilen (ts) and Rene Urtreger(p) Pierre Michelot (b)Kenny Clarke (d) from Miles in Amsterdam (Jazz O.P)……………………………………..
B: East Coast Meets West Coast, lets Party: Monk feat Gerry Mulligan from Mulligan Meets Monk (London Records LTZ-U15127 UK release of Riverside recording 1957 )…………………..
C: The Traditional Bop Values Party: Thelonious Monk from Genius of Modern Music Vol 1 (BN 1510) feat Sahib Shihab (as) Art Blakey (d) George Taitt (t) Robert Paige (b) …………………………..
D: The Free Tendancy Party George Russell Sextet feat. Eric Dolphy from Ezz-Thetics (Riverside RLP 375) Don Ellis (t) Steve Swallow (b) Joe Hunt (d) Dave Baker (tr) rec. 1961……………. F: The Bohemian Party: Kenny Dorham with J R Monterose from ‘Round About Midnight at the Café Bohemia Vol 1 (BN 1524) Kenny Burrell (g), Bobby Timmons (p) Sam Jones (b) Arthur Edgehill (d) (Art Taylor?) King pressing Late Entry! G: Let’s take the Trane Party: Miles Davis with Coltrane – Red Garland (p), Paul Chambers (b) Philly Joe Jones (d), John Coltrane (ts) from Miles Davis “Round About Midnight” (Philips BBL 7140) UK first release 1956 ……………..
Time’s up. Time to vote for your favourite, or nominate yet another version if you have another preference. Only one vote per voter, and no boxes stuffed with postal ballots, please, this is not a Presidential! 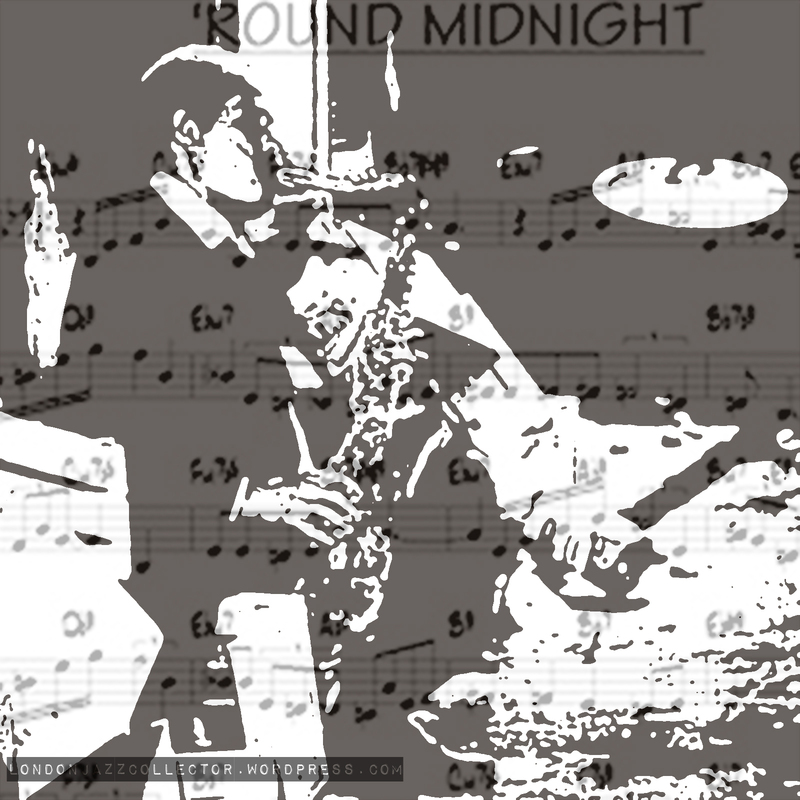 This entry was posted in Barney Wilen, Dizzy Reece, George Russell, John Coltrane, Kenny Dorham, Miles Davis, Thelonius Monk, Tubby Hayes and tagged 'Round About Midnight, Online Poll, Thelonious Monk by LondonJazzCollector. Bookmark the permalink. Round Midnight by Kenny Burrell – Fantasy Promo Pressing RVG Stamp. love it. What a superb way to overdose yourself with a load of ‘Round Midnight / Around About Midnight / ‘Round About Midnight… And the good thing is that this o.d. keeps you alive and even breathes more life into you. 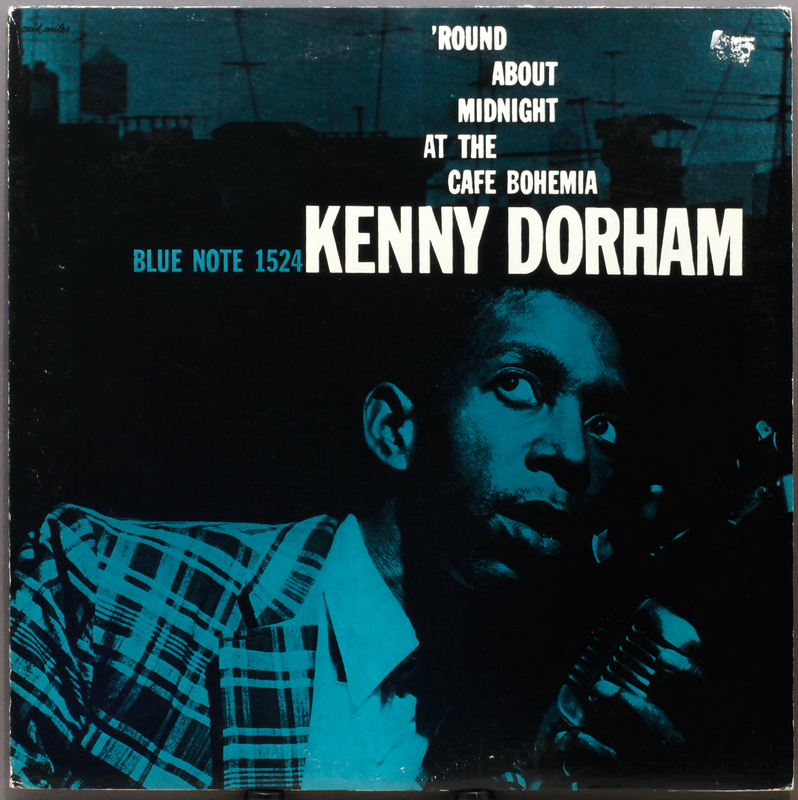 I totally forgot about the Kenny Dorham at the Cafe Bohemia rendition, by the way – can’t believe myself for not mentioning it before. 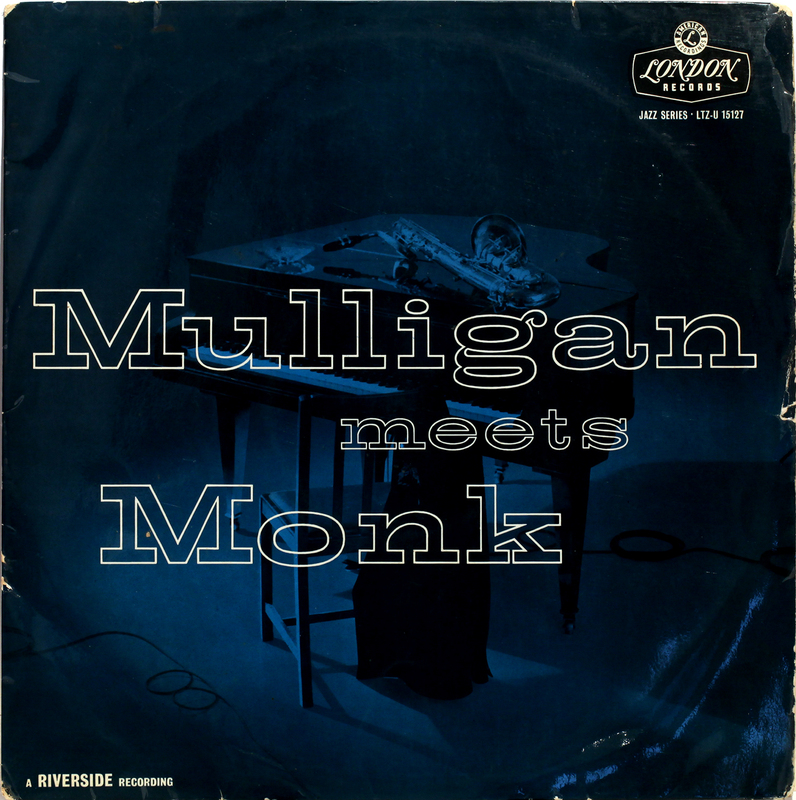 The Mulligan meets Monk version is also great, have to listen to that one again. But as Rudolf says: it takes time to absorb them all in one listening session. Of course I voted for Monk’s version from Genius of Modern Music, ’cause at the end of the day and at gunpoint, that would be the one that I’d take with me to that proverbial deserted island. I say it again: it’s a haunting version with so much loneliness and longing in it, that it grabs me by the throat every time I hear it. Ah… how to grasp in words what you really feel when you hear a certain track?? So sleazy, so emotional, so beatiful. Yes Rudolf I think that captures it perfectly – he arrives with eclat. It takes some time to fully absorb these varied interpretations. Tubby has the show all for himself, he is brilliant, as is Eric. Miles in A’dam is a nice discovery. After Miles one expects (Andy) the éclat of Trane, propelled by Philly. These three are so inséparable (also on PrLp 7150/Esq. 32-100, recorded one month later than the Philips). But back to A’dam, Barney makes a more modest entry, but regains control. K.D. and JR are a fine tandem too. Why does LJC suggest that Arthur Edgehill = A.T.? I will refrain from casting my ballott. Is there a drummer “Arthur Edgehill”? Not a name I have ever come across, but that may be just my ignorance. I expected Art Taylor. Arthur Edgehill, drums. Born Brooklyn, N.Y. 21/7/26. LP’s with Shirley Scott, Mal Waldron, Arnett Cobb, Eddie L. Davis (Prestige), Kenny Dorham (Blue Note, ABC-Paramount). Hands up, I learned something. Never noticed his name before. What a great round-up. Love them all. 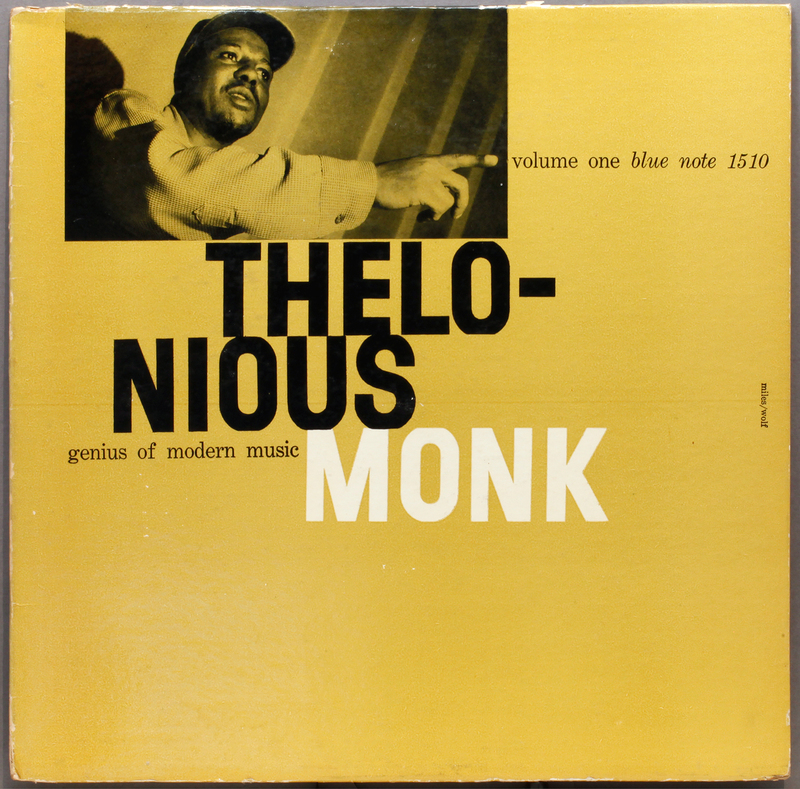 It has to be the ‘original’ recording for me where Monk presents the loneliness of his midnight hours in heightened reality. 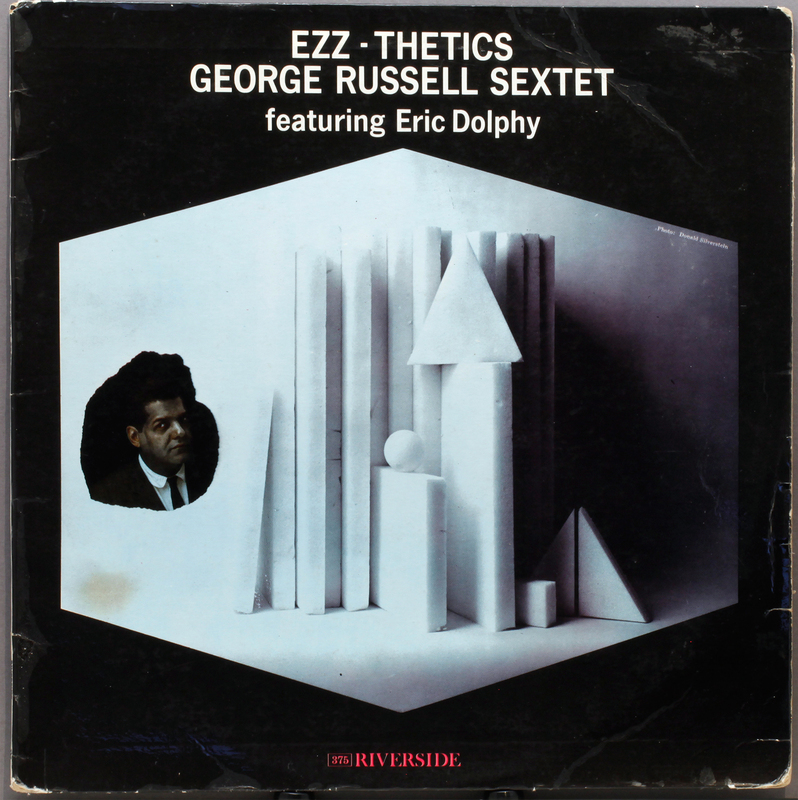 I love the George Russell version though and its dark fantasy – especially arranged for Dolphy’s incredible playing. 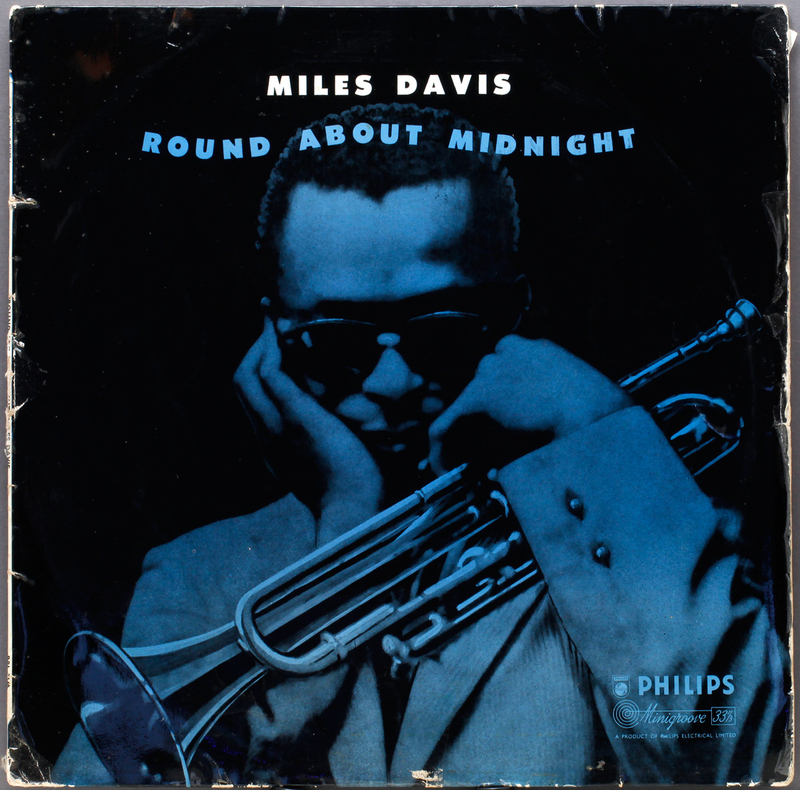 One omission, perhaps, is the version from Miles’s Round about Midnight Columbia album. I love Coltrane’s stately, lonely entrance after the horn break which ends the Davis solo. I think the fascination Miles had with this tune, which somehow had marked his comeback from his heroin days, finds its endpoint in the version found on the Live at the Plugged Nickel sessions where the emotions of the piece are pulled apart by the rhythm section. Reward for a perceptive comment Andy, its the butlers day off so I had to fix it myself, Miles with Coltrane from the original ‘Round About Midnight added to the poll. And for my money, hearing it again it has the edge. Got to love that Coltrane magic.